Imagine a world of layered abstracted botanical shapes on paper. 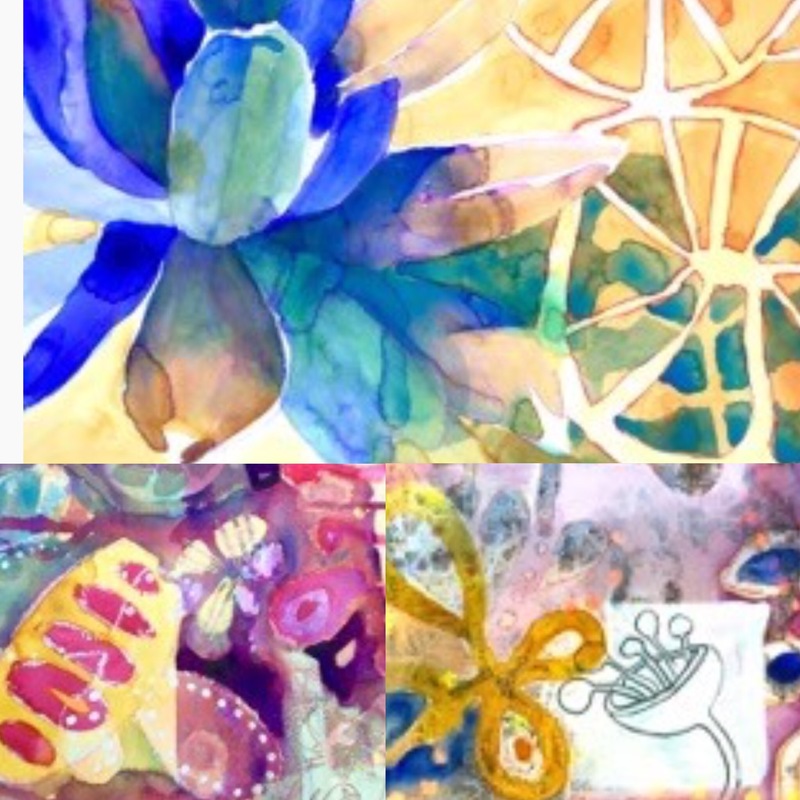 This workshop is a perfect way to spend the day discovering ways to create with monotypes, resist tools, water-soluble pencils, and transparent and opaque watercolors on paper. Based on biomorphic shape making, this process will allow you to discover ways to define the space around abstracted botanical shapes with deep values and colors. Pattern and texture will be the main ingredients for our compositions. We’ll start with the process with monotype printmaking to build up a foundation of textures and images. Watercolors will be glazed on top, adding luminosity and brilliant color. Part of the beauty of this technique is revealing some of the underlining imagery in selected spots. Helen will bring botanical references, printmaking tools, extra brushes and other tools to use while we work. acrylics, water-soluble pencils, texture materials, matt medium, gesso, and gouache. Watercolors: pan or personal palette (a Prang set will work or tube watercolors set in a palette) I prefer Daniel Smith and Holbein professional watercolors.